News - Baughman Memorial Works, Inc.
A memorial was placed Thursday for a York County firefighter, killed in 2013. Corey Haley was off duty when he was struck by a car in Red Lion on Christmas Eve 2013. The 24-year-old was rushed to the hospital but died in surgery. Haley was a member of the Winterstown Volunteer Fire Company. The fire company and Haley’s family raised money to buy a headstone for his grave. 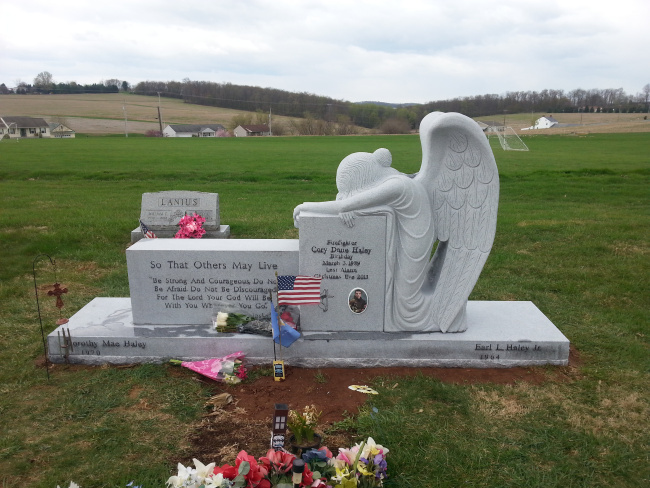 It was placed Thursday at Winterstown Cemetery.